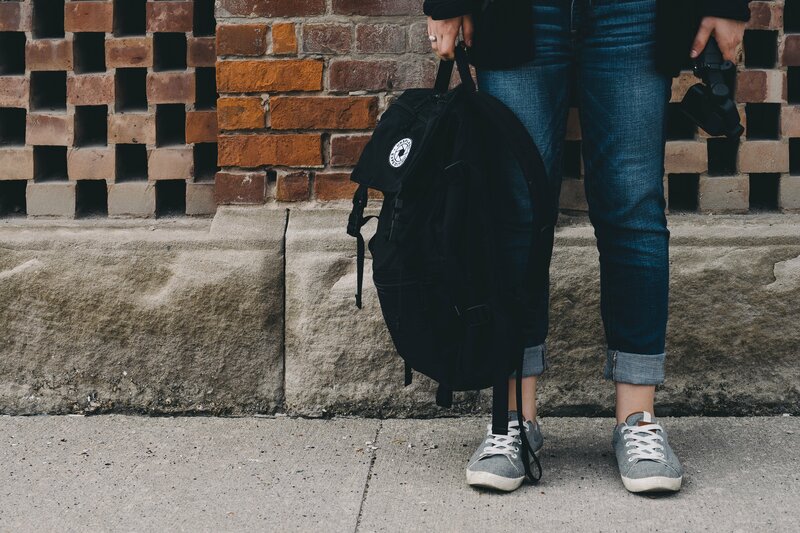 Packing an organized backpack for high school or college is essential to academic survival. It is much smarter to plan ahead for classes, emergencies, and daily occurrences than to just throw a bunch of stuff in your pack and go. One thing that all the students we asked had in common was that they didn’t think about any of this before they high school or college depending on the age of student we asked. Now that they have been in school, these are the things that they make sure that they always carry. Each student and schedule will be different. Sometimes even from one semester to another, so think carefully, and readjust as the semester continues. We gathered our list from six current college students. There were no differences for the high school students we asked. Again, it just depended on their class load at the time. Wireless earbuds– These will come in handy for walking across campus, working out, and listening to music while studying. 2. Chapstick– This is long-lasting and has both UVA and UVB protection. It comes in a tube, not a stick, so it won’t melt. 3. Water bottle– This bottle is great with many features. It folds up, has a wide mouth, leak proof, and is BPA free. 4. Planner- Basic or bullet, makes no difference! Just make sure you use one! 5. Jacket or sweatshirt-This is always great if there’s a cold classroom or you are just cold in general. 6. Portable charger– You will need one for your phone for sure, but an extra charger for your laptop is a good idea as well. You never know what kind of day you will have! Here is a smaller option. 7. Small office supplies- I asked a number of students what this would include for them. These are the things that they listed. Small stapler, post-its, graphing calculator, tape, pencils and pens. 8. A small pouch for personal items-Kleenex, hair ties, your favorite pain reliever, feminine products, and gum. 9. Last but not least, an umbrella!-Don’t get caught out in the rain with one. This particular one is windproof, which also comes in handy. However, when you are planning on your first semester at college or your last semester, the biggest takeaway I have gotten from the students that I spoke with is to be organized and be prepared for a long day. One thing I forgot from this list would be hand sanitizer, don’t forget it! Be sure to check out our complete lists of dorm room essentials and college school supplies! You might check out these related posts: What You Didn’t Know You Need in a Dorm Room and Your Parental Rights Change When Your Teen Turns 18. Great list! We sent our middle daughter off this past year, and all of this was in hers! Hand sanitizer was another big one! THANKS ! Thanks! I will have to add that!